Have you ever wished that your QuickBooks accounting software could function more effectively as a comprehensive small business inventory management tool? 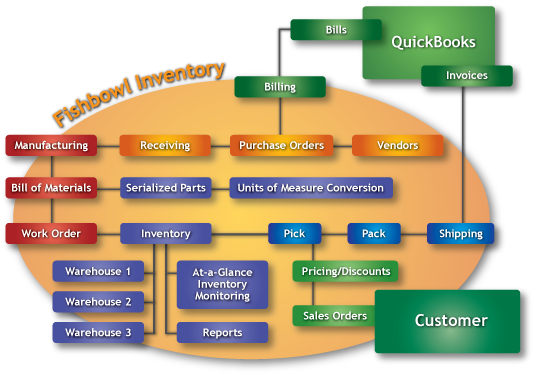 If you love QuickBooks but want a more capable and feature rich inventory solution, Fishbowl Inventory is the answer. 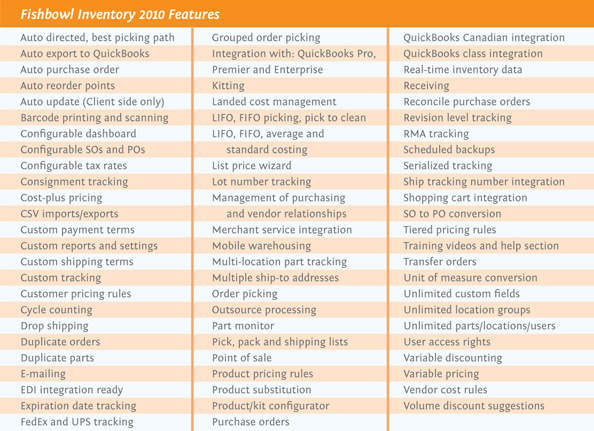 Fishbowl Inventory is a unique inventory control software that allows you to add true inventory, manufacturing, and distribution functionality to your existing QuickBooks software. Designed from the ground up to seamlessly integrate with QuickBooks, Fishbowl Inventory provides functionality typically only available from custom, high-end inventory management solutions. Fishbowl Inventory goes beyond simple inventory management. It allows you to efficiently organize, manage, and process your entire inventory workflow. Of course, inventory needs aren’t just confined to the warehouse. Many companies also need inventory management for their storefronts, remote facilities, distributors, and consignment locations. Fishbowl Inventory accommodates all of this and also offers a complete hardware solution that includes integrated POS systems, mobile devices, barcode systems, and label printers. Best of all, Fi-Soft can add a fully integrated e-commerce system to Fishbowl. Now you can offer your customers, partners, and distributors the ability to view real-time product availability and their own custom pricing. When products are purchased, your Fishbowl Inventory software is automatically updated in real-time. If you are interested in learning more or participating in a company specific demonstration, contact us today. Fi-Soft offers live webinars or local Houston Fishbowl classes and one-on-one Fishbowl training sessions. 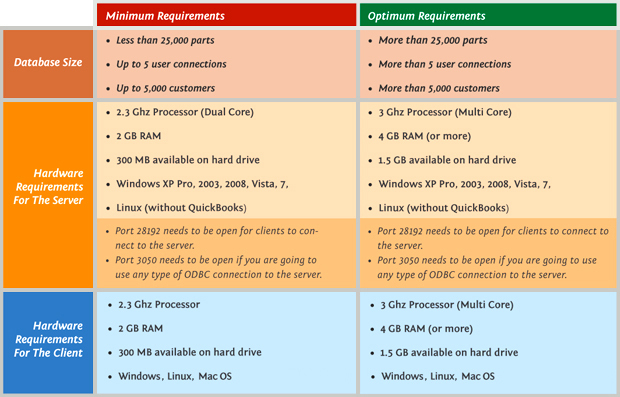 *Restrictions and limitations apply based upon hardware, software, internet, network, and other factors. Contact Fi-Soft to determine mobile and remote access specifics for your business.